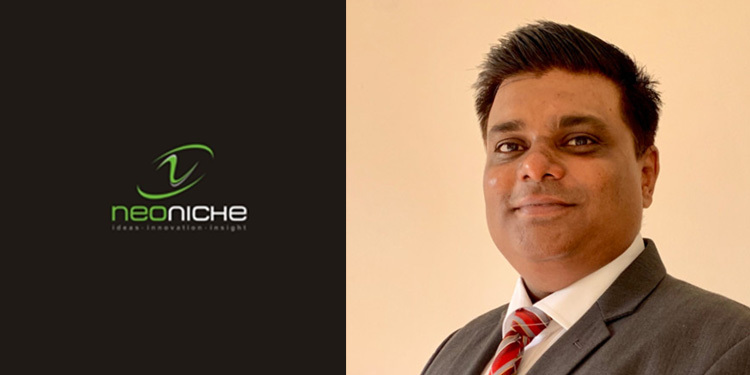 Mumbai: NeoNiche Integrated Solutions Pvt Ltd, an integrated experiential communication agency, appoints Vivek Pandey as Vice President to lead new business initiatives and special projects. Vivek will work closely with the management board to help identify new markets and strengthen the offering on experiential marketing platforms. With a mechanical engineering background, Vivek chose to pursue design and communication. He has led senior management positions with events and exhibitions agencies like Imagination, Showtime, 70 EMG, Saltxp and Meroform in India. Vivek established The Imagination Group, a global experiential marketing agency in India. He has professionally managed large auto shows on brands like Ford, JLR and others. Speaking on Vivek’s appointment, Prateek Kumar, CEO & MD, NeoNiche Integrated Solutions said, “At NeoNiche, our focus for last couple of years has been on few growth sectors and Automobile is one of them, we further wanted to expand and strengthen our leadership team for the same with someone who is not only highly experienced and exceptionally good in managing events but also carries a lot of credibility among clients and partners. Our search concluded on Vivek as his portfolio of experience includes exposure to various markets and industries especially Auto Industry, I am sure Vivek will successfully lead his team to add value in this space”. Commenting on his appointment, Vivek recounted the words of Ratan Tata saying, “A promise is a promise. When Ratan Tata said this magical line from the stage almost a decade before, it wasn’t just his emotions but also the bridge that connects a brand with its stakeholders. This single line has been my inspiration mantra all along. I was looking to work with a company that is truly unique in offering best business practices to its clients and nurses a great work culture for its employees. NeoNiche has that perfect blend. Leadership that is focused towards its commitment and hones its employees’ talents builds great brands.